The St. Boniface Haiti Foundation strives to improve life for the poor of Haiti by facilitating access to quality, affordable health care, educational opportunities and community development programs. GSI has donated life-saving medical supplies to St. Boniface Hospital and Gethsemane Elementary School’s Vice Principal serves as St. Boniface’s community liaison. The mission of Haiti Projects is to empower women in rural Haiti to lift themselves out of poverty, become self-sufficient and build community. GSI’s partnership with Haiti Projects heavily consists of knowledge- and resource-sharing. Contribute to GSI’s uniform fund, and we will purchase school uniforms from the talented Haiti Projects Artisanat. You will find GSI Haiti represented at the Fenton Street Market in Silver Spring, MD once a month selling paintings, hats, necklaces, serving trays and more…all handmade by Haitian artists. Check out our “photos” page to see these talented artists at work. You can also purchase drinking glasses and candleholders made from old wine bottles through our DC-based social enterprise venture, Redemption Glassworks. GSI Haiti has partnered with Red Relief Fund based in Lawrenceville, NJ to raise funds for Gethsemane School’s urgently needed building. Red Relief Fund’s relationship-oriented approach to service is reflected in the penpal program between Gethsemane Elementary School and Lawrenceville School’s advanced French class. 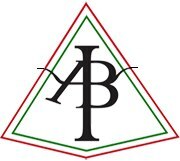 The mission of the ABPsi DC Metro Area Student Circle is to unite and empower black psychology students in the DC metropolitan area under the fundamental principles ABPsi, and the African spirit. As part of its mission, ABPsi DC has committed to empowering the community of Fond des Blancs by raising funds and awareness.